Comment: Something has gnawed all around the interior windows in my basement doing great damage. I do not know what kind of animal and if animal is still there. I need someone to assess damage and see if animal still there. Comment: I keep getting flying squirrels in my attic eves. I had Terminix out all ready and they installed a one-way-entrance. Still no luck. I insisted they had to be coming in from somewhere else but Terminix really didn't seem all that interested in fixing the issue. That is, until it came to signing an annual renewal. So I went about rat traps. I got 7 and it seemed to stop. That was 3 mos ago and I think they are back. I set 3 more rat traps and got a big adult, but worry there may be more and I still don't know where they are entering. Comment: seeing squirrels on roof after hearing noises in attic around sunrise. Westwood Pest Control Services are rated 4.46 out of 5 based on 831 reviews of 16 pros. 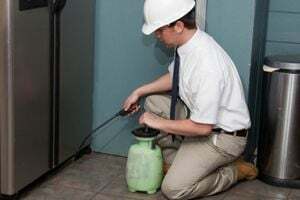 Not Looking for Pest Control Contractors in Westwood, MA?